Anyone who’s heard of the Cleveland Tree Plan knows the city has big things in store when it comes to greening our urban spaces—namely increasing the tree canopy from 19 percent to 30 percent by 2040. 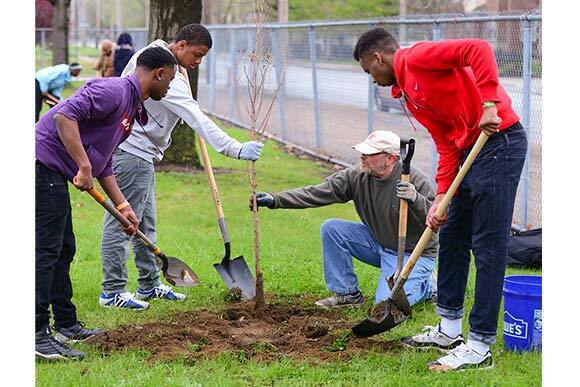 Mayor Jackson announced the goal last year on Arbor Day, and efforts continue as we approach Arbor Day 2018, which takes place this Friday, April 27. Raise a glass to greener space. This Thursday, April 26, Western Reserve Land Conservancy will host a “Toast to Trees” from 5:30 to 7:30 p.m. at Market Garden Production Brewery (1849 W. 24th St., Cleveland). Be among the first to sample Market Garden’s new tree-inspired beer, and sip comfortably knowing that $1 of every purchase goes to support WRLC’s urban reforestation efforts. A $10 admission includes entrance to the event and light appetizers. More 411 here. Send your seedlings to Children of Terra’s Arbor Day 2018 Celebration. A new generation of arborists will take shape this Friday as Children of Terra hosts a free Arbor Day event at Camp Forbes (in Highland Hills). 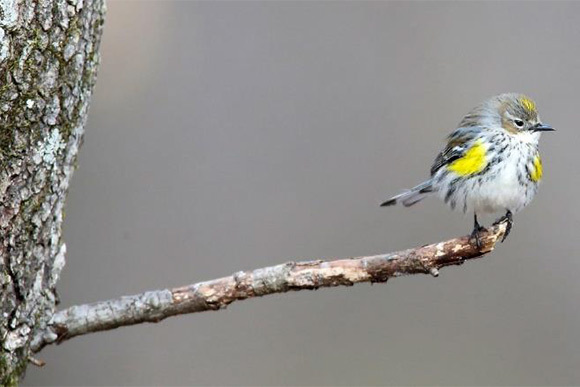 Open to children ages six through 12, this celebration will feature an arborist-led nature walk, lunch Q&A, interactive experiments and lessons, and the opportunity to take home a junior arborist kit including a native Ohio tree seedling. For more information or to register, click here. Combine your love of ice cream and trees at Mitchell’s. Starting at noon this Friday, April 27, the Western Reserve Land Conservancy will be giving away 800 tree seedlings at Mitchell’s Ice Cream’s Ohio City and University Circle stores. (While enjoying some ice cream, make it official by signing your very own tree adoption certificate.) Learn more here. Help bring the Arbor Day Foundation’s Community Canopy service to Cleveland. Right now, the Cleveland Tree Coalition is using ioby to raise $5,000 in donations that will bring locally-grown trees to the Detroit Shoreway, Slavic Village, Central-Kinsman, and Glenville neighborhoods by establishing a permanent online tool for Cleveland residents to order free and/or discounted trees. The campaign runs through June, but all donations made before May 15 will receive one-to-one matching from the Cleveland Climate Action Fund. "There's been a lot of discussion about neighborhood-level climate planning resilience, so we're piggybacking onto that [with this effort]," says Sandra Albro, co-chair of the Cleveland Tree Coalition. "This program is something we'd like to bring to all of Cleveland eventually." Help Albro and her colleagues make it happen by donating here. Wondering why Cleveland has a Climate Action Plan and what climate change is all about? Check out this video from Northeast Ohio-based company, Hyndsight Media. They create short explainer videos that provide background information on social and civic issues in the news. Stay tuned for more of their videos throughout FreshWater's site!